Occupy the Corner organizer and Detroit City Council President Pro Tempore Mary Sheffield. The “Occupy the Corner” initiative began in 2014, with the goal of bringing resources to City of Detroit residents, fostering community pride in fighting or preventing crime, creating a stronger relationship between citizens and law enforcement, and connecting Detroiters with the resources that bring hope. 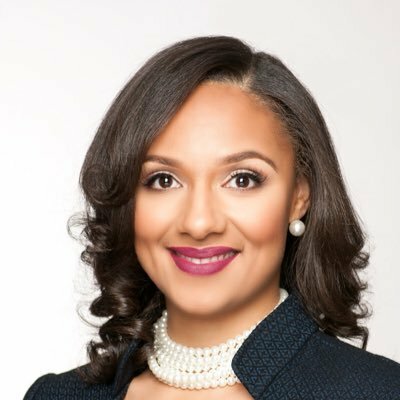 Event organizer and Detroit City Council President Pro Tempore Mary Sheffield (D – District 5) will bring the Occupy the Corner season to a close on Friday, August 24 with a back-to-school rally and celebrity basketball game at Tolan Playfield (601 Mack Avenue) from 5-8 p.m. Some of the celebrity guests include former NBA player and Program Associate of High School Athletics at Detroit Public Schools Willie Burton, WXYZ news anchor Glenda Lewis, State Rep. Jewell Jones, Enjoy Detroit founder Dave Woods, Oh So Radio owner Randi Rossario, Garlin Gilchrist II, who Michigan Democratic nominee for governor Gretchen Whitmer chose as her running mate Monday, former Detroit Southwestern basketball standout Tarence Wheeler and many others. Attendees of Occupy the Corner will be given information regarding voter registration, employment and job training, minor felony expungement, utility payment assistance, housing assistance, healthcare and much more. The event will also serve as a platform for citizens to get to know one another and to promote an anti-violence culture in the community. Participants will be treated to food and beverages, music by DJ Gifted, haircuts/hair braiding, and over 800 backpacks and school supplies will be given out. The mission of Occupy the Corner is to engage the community, connect them to resources and empower residents to be self-determinate with respect to improving the quality of life in some of Detroit’s toughest neighborhoods. For more information, call 313-224-4505.